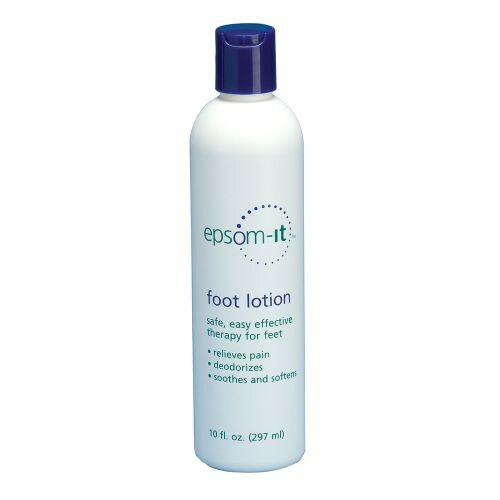 Epsom-It Foot Lotion offers the same benefits of Epsom salt foot soaks without the water. No more wasting gallons upon gallons of water to help relieve your sore muscles. Simply rub the lotion into your sore feet, and feel the soreness disappear as the lotion is absorbed by your skin. In addition to relieving your pain, this lotion helps to soften the skin and deodorize your foot.